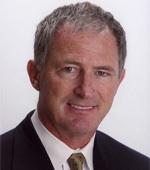 Bruce White established Great Lakes Properties Ltd. in April, 1988 to conduct business in the suburban Chicago area as commercial real estate investment and development company. Mr. White has been President and sole shareholder of the Company since its founding and he is the major principal owner of each individual development entity. Mr. White is primarily responsible for overseeing the strategic direction of the company and its projects. From a day-to-day standpoint Mr. White manages site selection, product design, consultant & contractor engagement, team management, entitlements, financing leasing/disposition decision making. Prior to founding Great Lakes, from December 1985 to March 1988, Mr. White served as Division Partner managing the Chicago apartment development team at Trammell Crow Company. Responsibilities included managing a staff that carried out all aspects of the development process. Communities were acquired, entitled, constructed and leased in several local suburban Chicago communities. From June 1982 to December 1985 Mr. White was associated with Robert Sheridan and Partners as Vice President Acquisitions as a Partner. He was responsible for acquiring and financing numerous multi-family apartment properties in New York and Florida. Financing strategies included the creation of a tax-exempt pooled fund directed at endowments and private placements. In addition, he was instrumental in developing strategies for the sale of several of those assets through conversion to condominiums, particularly in New York City. From August 1980 to June 1982 he acted as Vice President Acquisitions for the Chicago office of Regis Homes/CTC Associates. From September 1977 to August 1980, Mr. White served as Real Estate Officer in the Residential Construction Division of Continental Illinois National Bank, which later was merged into Bank of America. In that capacity, he underwrote, funded and managed a sizable land acquisition, development and construction financing portfolio. Mr. White earned his Masters of Business Administration degree from Harvard Business School in Boston, MA, in June 1977, with emphasis in real estate. Prior to that, Mr. White received a Bachelor of Commerce degree from McGill University in Montreal, in June 1975, with a major in finance.